Never heard of William Shakespeare’s Coriolanus? You’re not alone. In Shakespeare’s day, it was never performed. Today it is rarely, if ever, staged or taught. But soon, two of Hollywood’s most respected actors, Ralph Fiennes and Vanessa Redgrave, will try to rectify that situation. T. S. Eliot once called Coriolanus Shakespeare’s greatest tragic achievement, superior even, in his opinion, to Hamlet and Antony and Cleopatra. 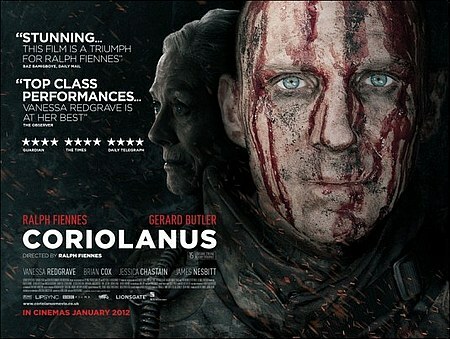 Coriolanus opens in wide release on February 14, 2012. Here is the trailer. If you go see it, please leave us a note and tell us what you think of the film. Is Eliot right? Or has the story of Coriolanus been justifiably ignored?